There’s surely nothing better than coming home from a hard day’s work to find a delicious bubbling stew or creamy curry ready and waiting to devour. 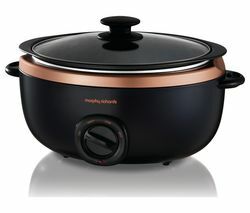 Take the drudgery out of evening meal preparation with one of our versatile slow cookers. It’s so easy; just chop up and pop in your chosen ingredients, switch on the slow cooker and leave it to do its thing as you go about your day. Return home to delicious aroma’s and tender meats and veg. 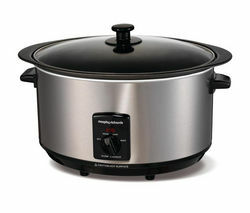 You can use our crock pots to shallow fry, steam, slow cook, boil rice or pasta, bake, stew and reheat. Enjoy delectable warm casseroles, roasts and sumptuous puddings without spending hours toiling away over a hot oven!